It would be nice to think that every company has a formal mentoring scheme, and that you can tap into the experience of other project managers through this. However, that isn’t always the case. As a result, people managing projects for the first time often find themselves making mistakes. That’s normal – we all make mistakes from time to time, especially in a new job. 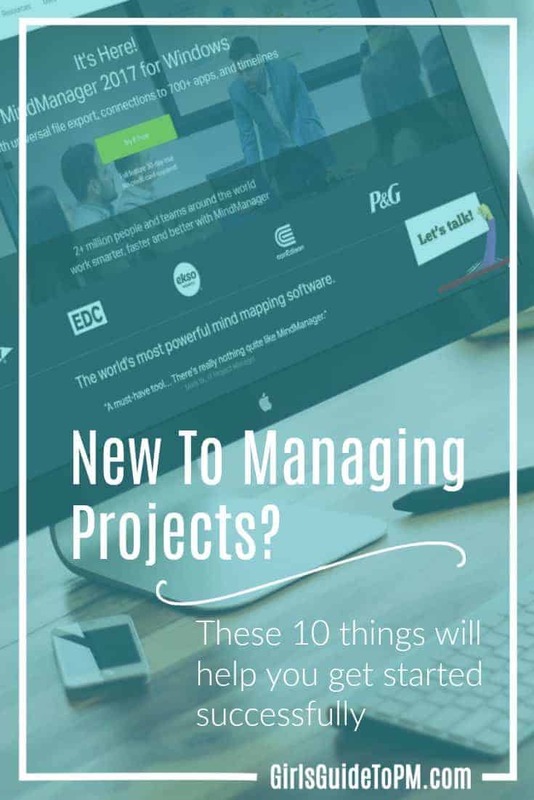 I’m delighted to be partnering with MindManager today to share 10 simple things that you can do to get up to speed quickly and avoid those rookie errors. 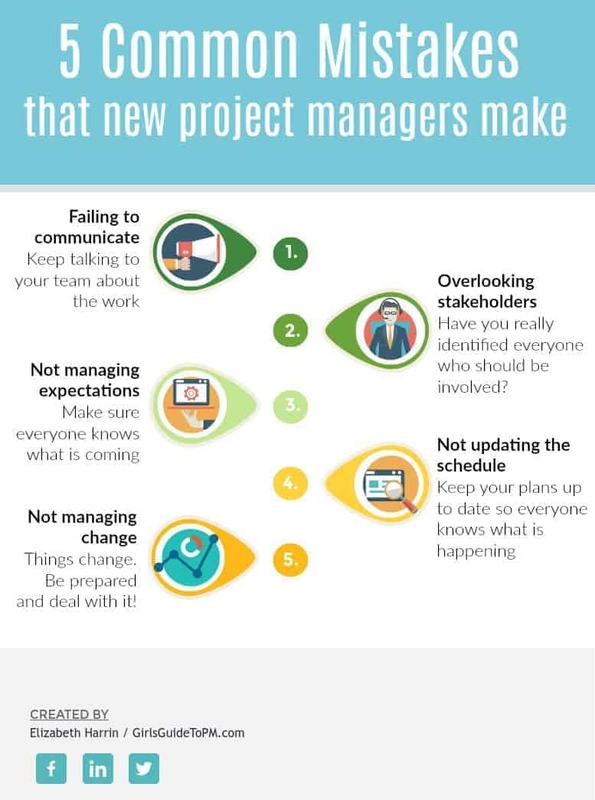 These are the things that I wish someone had told me when I first started managing projects. Oh, and the latest edition, MindManager 2018, is actually launching today, and if you’d like a free trial, you can grab yourself access here. The scope of your project is normally set at the beginning, but it’s foolish to think that it won’t change. The average project goes through 4 formal versions of scope, so you need to come up with a way of managing those changes when they happen. What documents should your project have? There are plenty of others but these are the minimum. Project management has a lot of jargon. From baselines to Gantt charts, work breakdown structures to risk sensitivity analysis, there are so many new terms to get to grips with. And don’t get me started on the terminology that goes with earned value management. The thing is, even if you understand it, your business colleagues probably won’t. Part of your job as a project manager is to translate the project and the work you are doing into terms that they can understand. Make it easy for them to work with you. Traditionally, project managers reviewed the project at the end. The lessons learned meeting would look at everything that went well and everything that didn’t, and pick out key lessons to apply to future projects. This is still a good approach, but a better approach is to do that as you go along, and not to leave it to the last minute. Whether that’s through ongoing Agile retrospectives or by talking about continuous process improvement as you go, keep thinking about what you could do better. Then you can tweak what you are doing to improve the project and the processes. Projects are most successful when everyone knows what they are doing and why. I’ve worked on two particular projects where everyone had a very clear view of what would make the project a success and what the business outcome should be. They were easily the hardest, most challenging projects I’ve done to date, but it really helps to bring people back to the common reason why we were doing the work in the first place. An easy way to do this is to create a mindmap covering what you are doing and why you are doing it: the core business reasons. You can show this mindmap at the start of each meeting as a reminder – it’s your business case distilled into a single graphic. Shared objectives matter, so make sure you understand what your project is for. Putting together a project schedule is time consuming and a bit boring. So it’s tempting to use massively long tasks on your plan like ‘testing’. This isn’t helpful in the long run as it is far harder to track progress when your tasks are long. There’s a risk that someone on the team will keep telling you that everything is on track and it’s only when it is too late to do anything about it that you’ll realise they were wrong. Short tasks help you pick up slippage early and do something about it. Showstoppers are things that will prevent your project from achieving its objectives. What is going to kill your project? Some problems aren’t that big a deal. But some are huge and will cause significant issues. Knowing which is which is partly down to your professional judgement, and if you are new to projects you might doubt your own ability to make that call. If you hit a problem and you don’t know how serious it really is, talk to your project sponsor or a trusted colleague. Chances are, if you are worried, then they will be too. Showstoppers are problems that will prevent your project from achieving its objectives. Risks are things that could potentially cause problems (there are also risks that could potentially improve things, but that’s for another day). They haven’t yet, but they might. Don’t ignore them. The project manager’s role is to work out how to make these risks disappear or at least have less of an impact if they do happen. Each project risk will need a management strategy and an action plan. Work with your team to establish what to do about them. You might not take any action for some smaller risks but for those that have the potential to give you a big headache you’ll want to look at creative solutions to make them go away. Get a risk register template (and a host of other useful templates to get your project under control). Documenting your approach to dealing with the risk goes a long way to making other people feel that you have the project under control. When problems do hit (and they will! ), the best project managers deal with them calmly and professionally. If that isn’t your nature, you’ll have to work hard to give the impression of having everything under control. You set the tone for the team and they will take their lead from you. However disastrous the problem, don’t run around like a headless chicken screaming, “The sky is falling!” Sit down with some subject matter experts and come up with some solutions to the problem so you can present your project sponsor with a recommendation of how to deal with it. Resilience is a major skill for project managers! What benefits will this project deliver? Every project task you do should contribute to achieving those. These days, companies don’t have the budget or resources to invest in projects that don’t deliver anything useful. And as business priorities change at a scary rate, today’s high profile, top priority project is tomorrow’s pointless exercise. Make sure you understand your project’s benefits and keep checking that they will be achieved and that the project does still align with current business strategy. If it doesn’t, it’s probably time for your project to be stopped and for you to work on something more worthwhile. Finally, accept the fact that people outside of project management won’t understand what you do. If the project goes well, they’ll ask why they needed a project manager at all. If the project goes badly, be prepared for it to be all your fault. I have always found it hard to explain the role of a project manager. My job is to make it easy for other people to do their jobs, and if that doesn’t sound like a non-job then I don’t know what does. If you can get a mentor, then get one. If you can’t, read everything you can, research good practices online, attend training and take some certificates. In fact, do all that even if you do have a mentor. You should never stop learning and developing professionally, even when you’ve got lots of experience and people are asking you to mentor them. Project management is basically about building good relationships with other people to get things done, and as every project and every person is different, there is always going to be something you can learn and take forward to your next piece of work. Mindmaps are a simple tool to create structure from the chaos – and you can get a free trial of MindManager to help plan your project. Thanks to the team at MindManager for sponsoring this post! Thank you for this. I’m starting a new PM position tomorrow at a large company with very large IT projects in the works. Super nervous but this helps. THANK YOU for calming my anxiety as I venture into my first project (an XL one…go big or go home right?)! This is very helpful and to know I’m not alone and on the right path. Thanks! Where was this list when I first started? Thanks, Elizabeth. The only extra thing I could recommend is that the new PM should take stock as to who cares about what the project is set up to do? ; who doesn’t but should? ; and who can help you. Paul, those are great additions! The whole stakeholder engagement piece is so important. Thank you for sharing these valuable tips, Elizabeth! 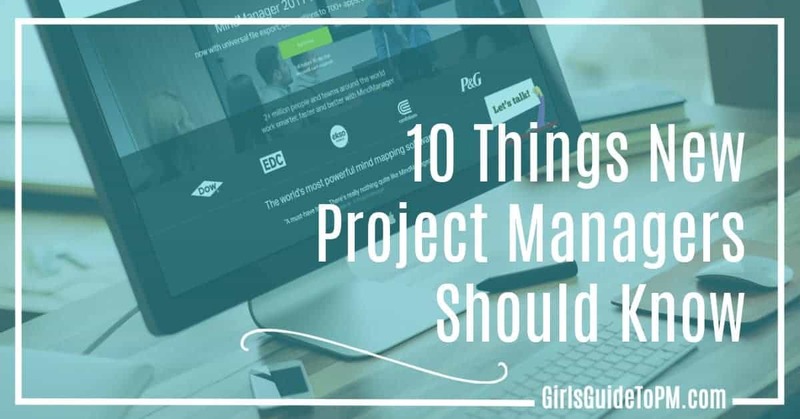 I don’t have the words “project manager” in my title at work, but I sure do need to manage a lot of projects so this is great reading. I especially love #3 and #8.